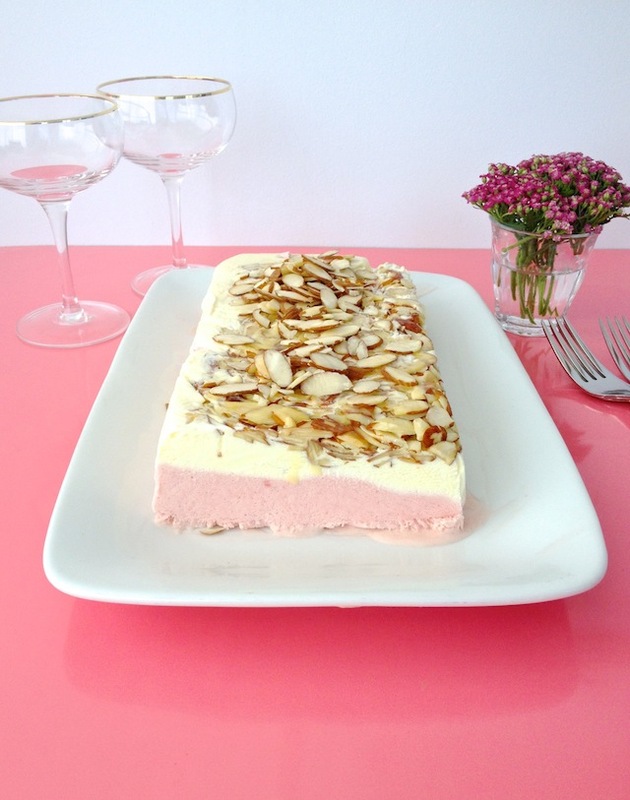 5-Ingredient Strawberry-Almond Semifreddo—The Fanciest Easy-Dessert You'll Ever Make! / Hey, EEP! 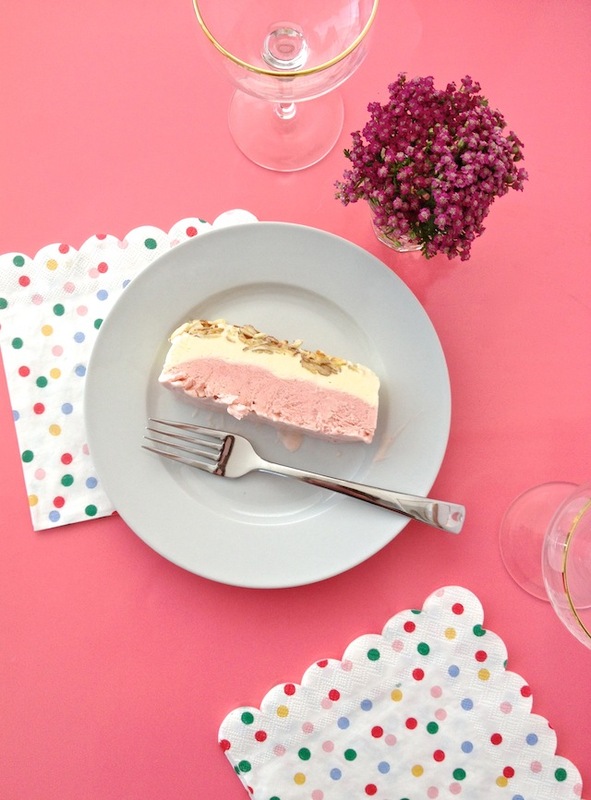 5-Ingredient Strawberry-Almond Semifreddo—The Fanciest Easy-Dessert You'll Ever Make! 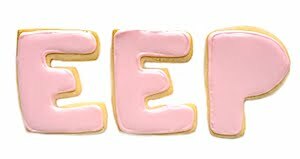 This holiday weekend, I plan to enjoy my share of frozen treats: Ice cream cones, popsicles, maybe even an ice cream sandwich (or three) but definitely NOT ice cream cake! That's one icy treat I could never warm up to. I celebrated my birthday this week—woohoo, June babies!—and I decided to make a two-toned semifreddo for the occasion. This Italian “half cold” ice cream cake is a sophisticated twist on the childhood classic, which I thought might change my mind. No crunchies, no weird chocolaty mess and (bonus) it’s completely make-ahead! To make a semifreddo, all you need to whip up is mousse-like base. Sounds scary, but don’t panic! 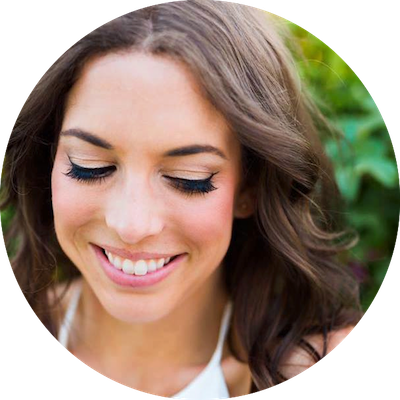 It’s much easier to do than you’d think (and it hardly requires any ingredients). I decided to spike mine with the flavors of a Strawberry Shortcake Bar—one of my favorite ice cream truck treats! For the strawberry layer, I folded a quick, no-cook strawberry syrup into the egg mixture (see above). For the cream layer, you have a choice: Leave it plain or splurge on an extra ingredient and stir in a little almond extract for added nutty-sweetness. But let's not get ahead of ourselves! To create the base, you'll start by whisking up a few egg yolks and sugar. Set that mixture over a saucepan of simmering water and keep whisking! 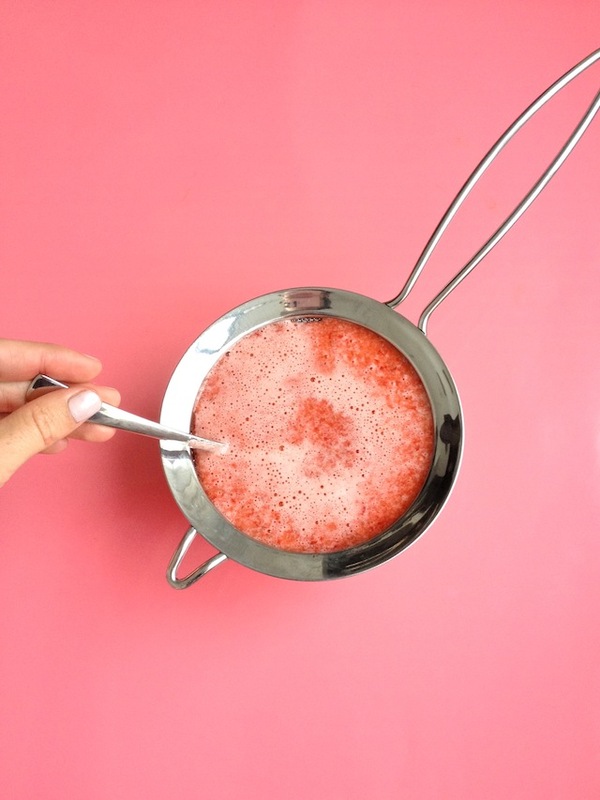 This will cook the yolks so they're safe to eat—you'll know it's ready when the mixture thickens and coats a spatula or spoon (see image 1 below). Dunk the bottom of the custard bowl in some ice water to stop the cooking and let it cool. Once the custard's cool, you start adding whipped cream to create that fluffy-airy frozen mousse texture. I like to start by stirring in a big dollop of whipped cream to help lighten things up. After that, you can gently fold in the rest of your cream. 1. Toss the berries and 2 tablespoons sugar in a large bowl; set aside 5 minutes. Meanwhile, line a loaf pan with plastic wrap leaving an overhang on all sides. 2. 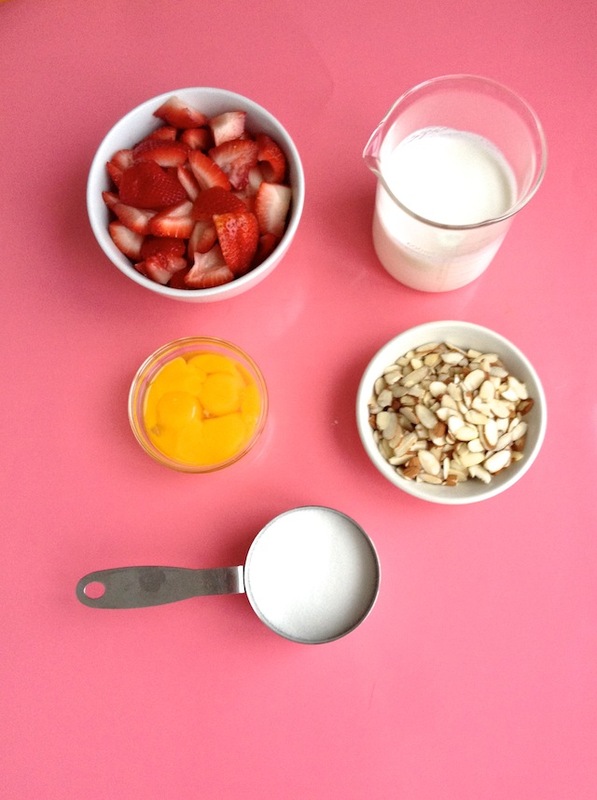 Transfer the strawberry mixture to a blender and blend until smooth. Strain into a liquid measuring cup through a fine-mesh sieve, stirring and pressing down firmly on the solids to release all the liquid. Discard solids. You should have about 1 cup strawberry syrup. 4. Beat the heavy cream and remaining 2 tablespoon sugar with a mixer until soft peaks form. 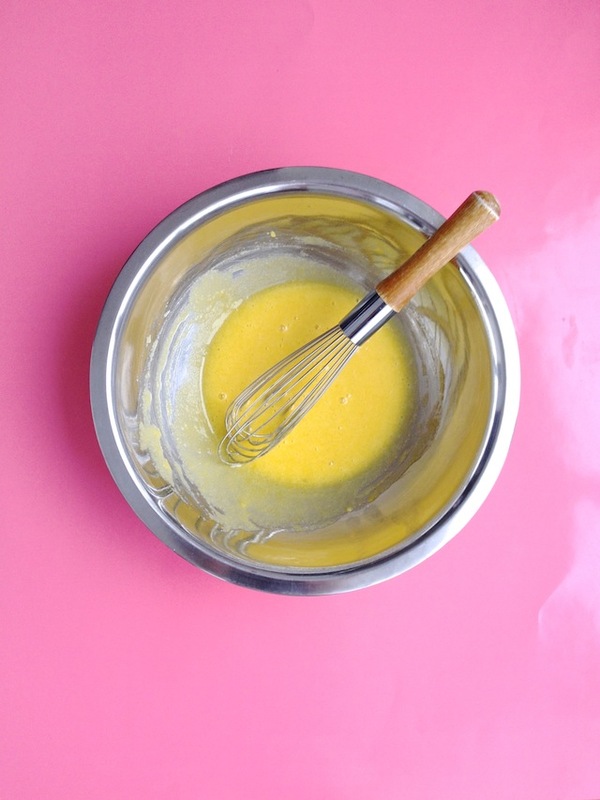 Add a big scoop whipped cream to the egg yolk mixture and stir together to lighten. 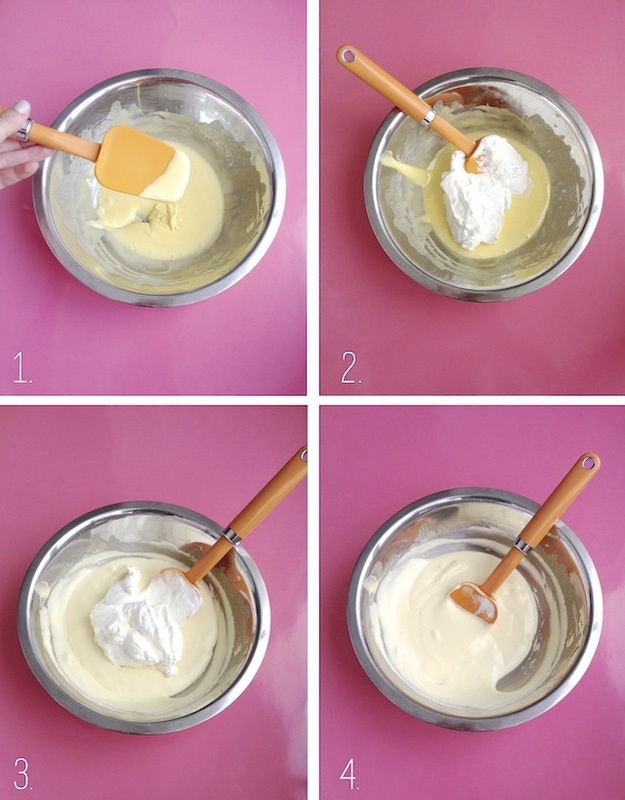 Add the rest of the whipped cream and fold together until combined using a rubber spatula. 5. Transfer half of the custard to another bowl; add the strawberry syrup and fold to combine (it’ll be a little runny). Stir a drop of almond extract to the plain custard, if desired. 6. Sprinkle the toasted almonds in the bottom of the prepared pan. Top with the plain (or almond-flavored) custard; press and spread to the edges of the pan using an offset spatula. Top with the strawberry custard. Cover with the plastic wrap overhang and freeze at least 8 hours or overnight. 7. To serve, unfold plastic and invert onto a serving platter; remove plastic wrap. Slice with a chefs knife (dipped in hot water, if needed).